Leo was born in the Ukraine and died in Moscow. He was first man in the government of the Soviet Union from 1964 until his death. Leonid Brezhnev started out as a land surveyor ( George Washington comes to mind.) He studied at the Dniprodzerzhinsk Metallurgical Institute and graduated in 1935. In 1967 / 1968, Czechoslovakia, led by Alexander Dubcek, tried to wiggle its course a little bit away from that of the other communist countries. This brave solo performance became known as the Prague Spring. Brezhnev wasn't thrilled and decided to invade Czechoslovakia in 1968. 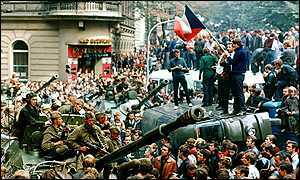 Thus, the Prague Spring ended when Warsaw Pact troops invaded Prague on the night of August 20 / 21, 1968. Alexander Dubcek was arrested and taken to Moscow. He was made ambassador to Turkey in 1970. Once out of the general limelight, Alexander Dubcek got kicked out of the party, returned to Czechoslovakia and died in 1992 after a car accident. In November 1968, Brezhnev justified the invasion in a speech. He felt that Czechoslovakia's behavior became a threat to "other socialist countries." Brezhnev's opinion on the matter became known as the Brezhnev Doctrine. You can read the translated transcript of Brezhnev's speech, aka The Brezhnev Doctrine, online and for free, provided by the Fordham University. Thirty years later, in 1998, it was debated how important the Prague Spring really was. Here is a BBC article. In 1972, Brezhnev signed SALT I, an agreement with the United States to reduce the production of strategic missiles. A Soviet army lieutenant disguised as a policeman opened fire on Brezhnev as he was being driven to the Kremlin. Brezhnev escaped unharmed. The guy was declared deranged and put in a mental hospital. Under Leo Brezhnev's management the Soviet Union became one of the world's leading nations in military (think nuclear weapons) and scientific (think space program) progress. This success, however, cost the Soviet Union a lot of money. Thus, Brezhnev was also responsible for a drop in the general standard of living. 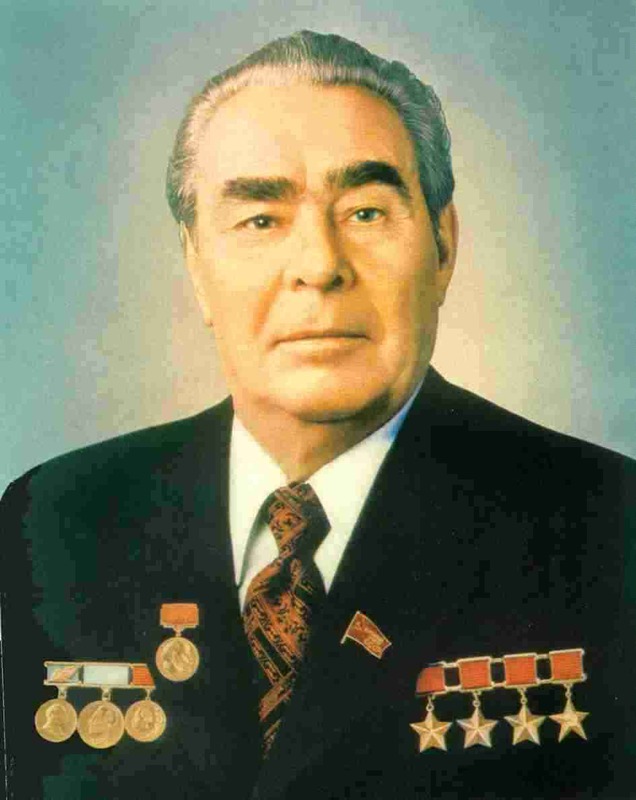 Yury Andropov became Leonid Brezhnev's successor as Soviet Premier. Andropov died 15 months later and was replaced by Konstantin Chernenko.